sense of how various life events, relationships, and issues connected to family of origin have impacted them and how this intersects with their day-to-day life. Bethany graduated from the University of Central Oklahoma with a M.A. in Counseling Psychology in 2006, and has been licensed as a Licensed Professional Counselor (#3953) since 2008 and a Licensed Alcohol and Drug Counselor (#858) since 2011. 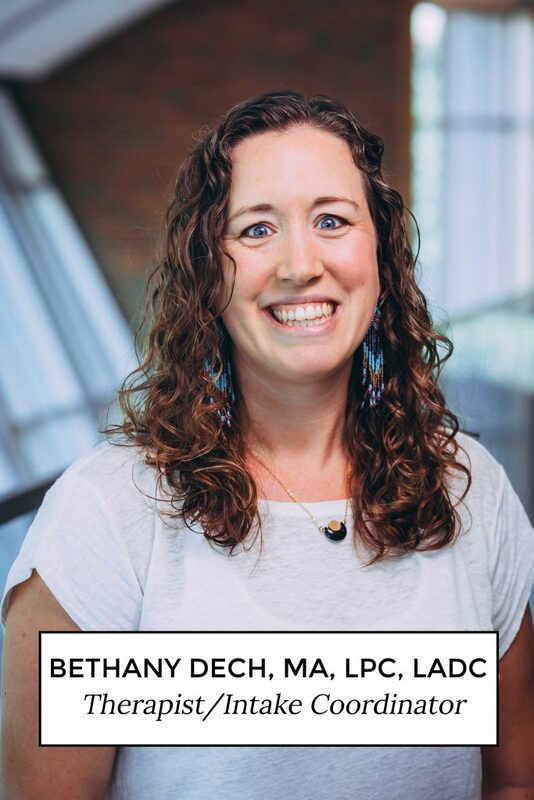 Bethany also provides supervision for LPC Candidates working toward licensure and previously worked as a counselor within a hospital mental health setting working with individuals and families in crisis. Bethany has experience working with children, adolescents, adults and couples who may be experiencing issues related to anxiety, depression, grief or loss, trauma, interpersonal conflict, divorce, addiction as well as other life transitions. Bethany also enjoys working with clients who are pregnant, may be dealing with post-partum related issues or issues surrounding being a new mother or a parent or caregiver.